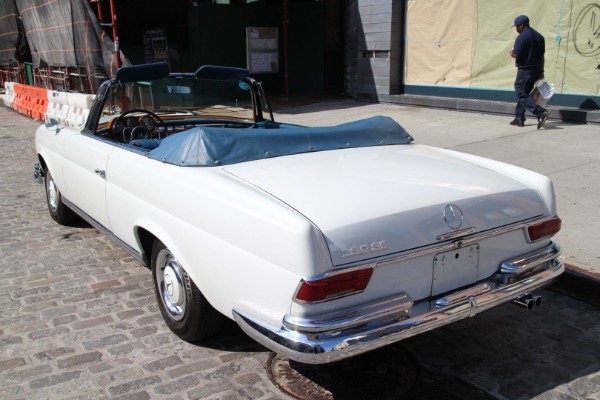 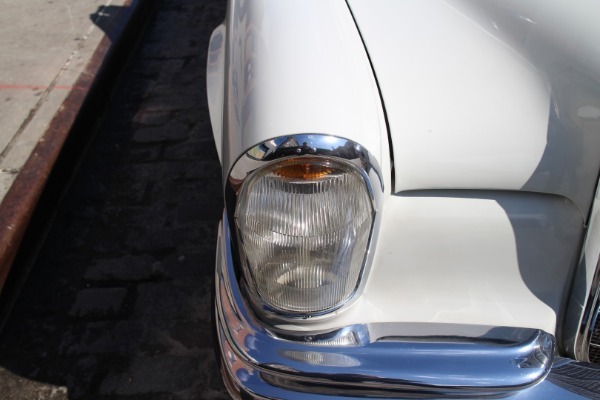 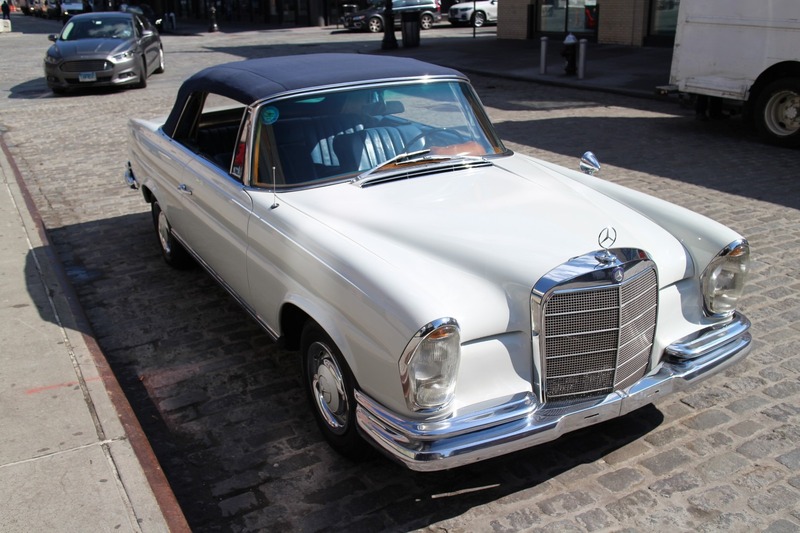 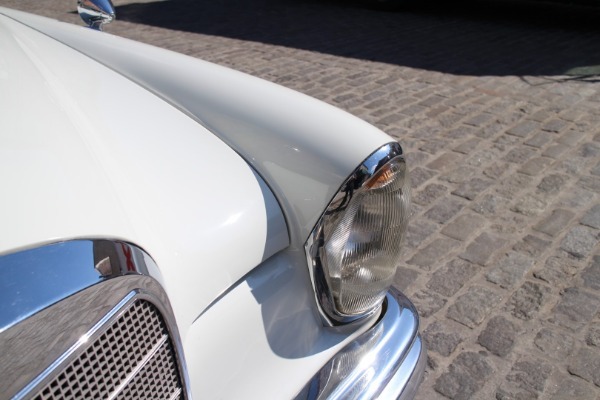 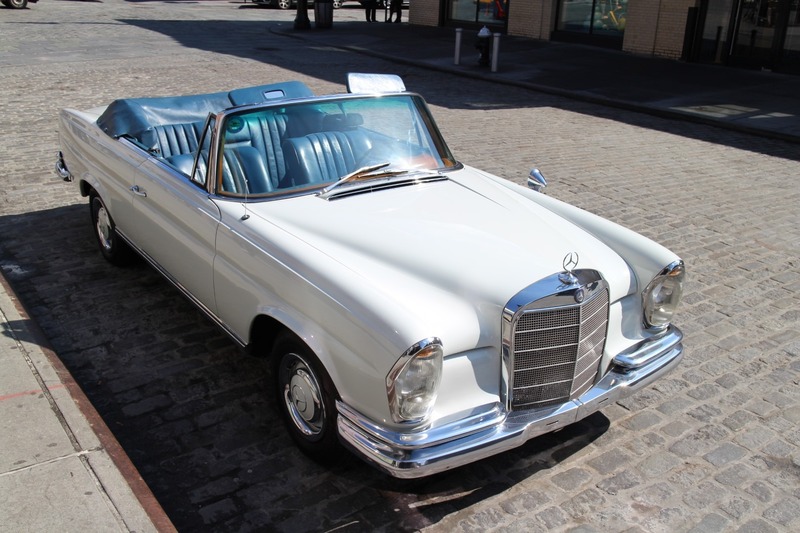 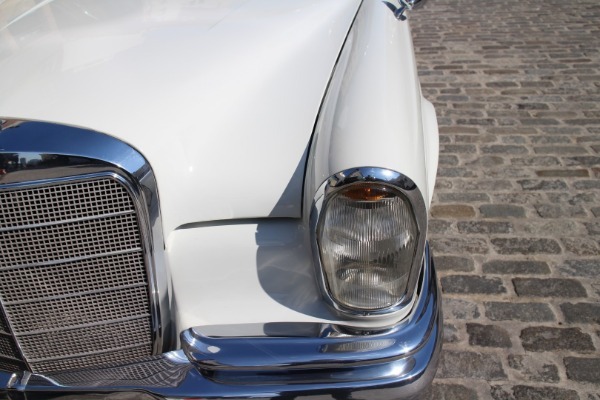 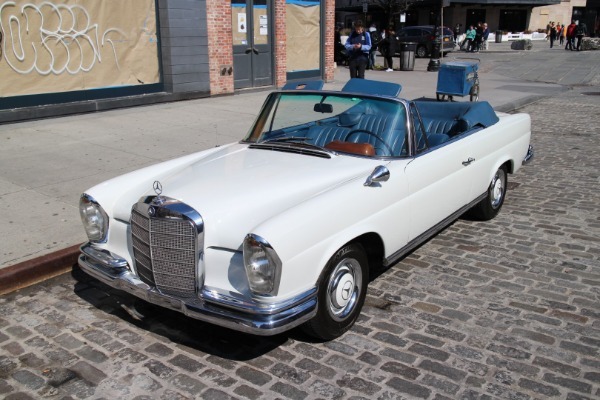 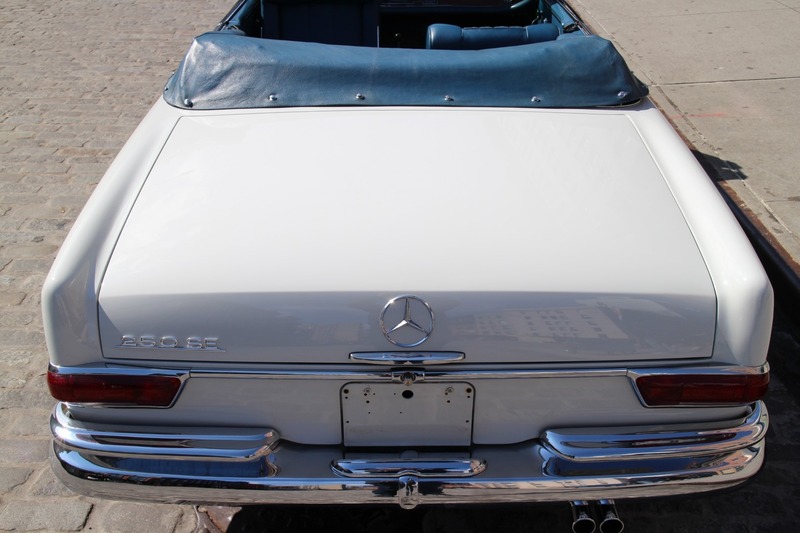 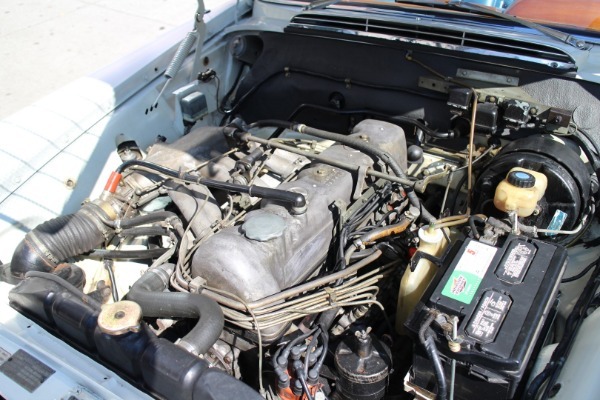 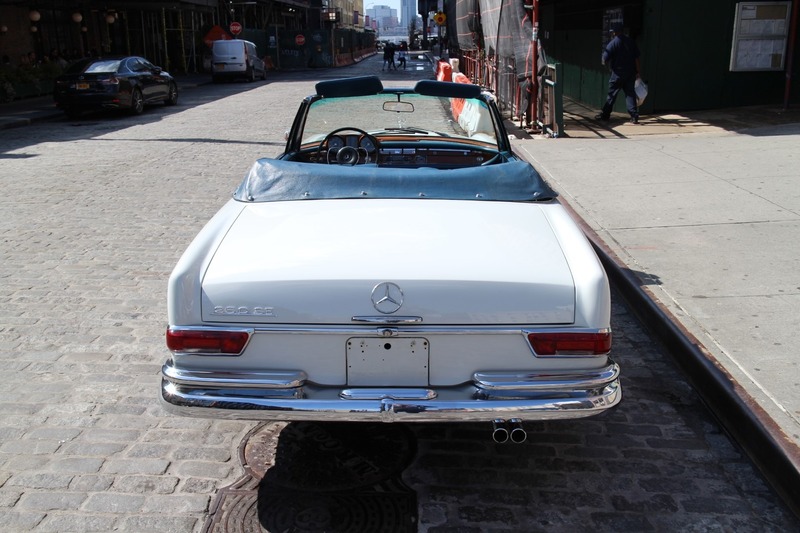 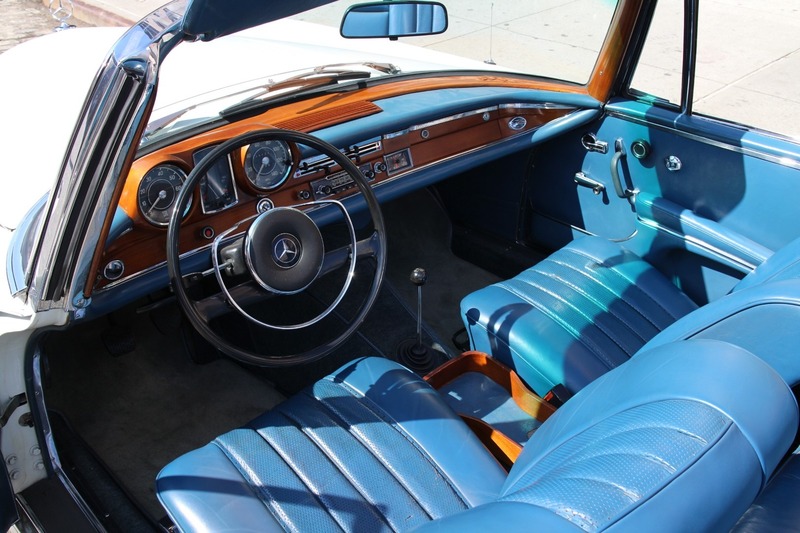 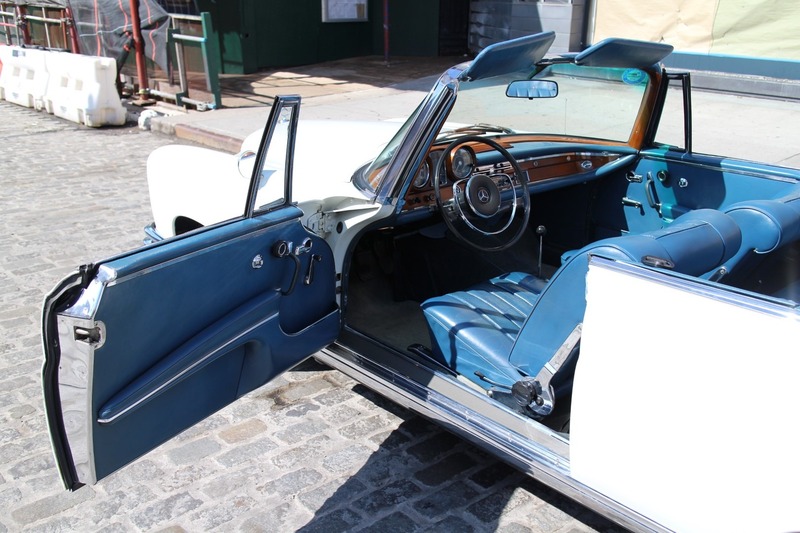 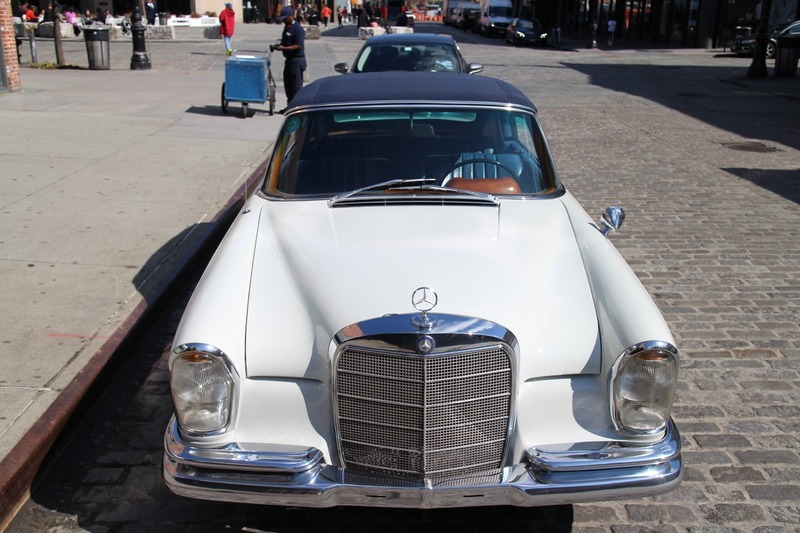 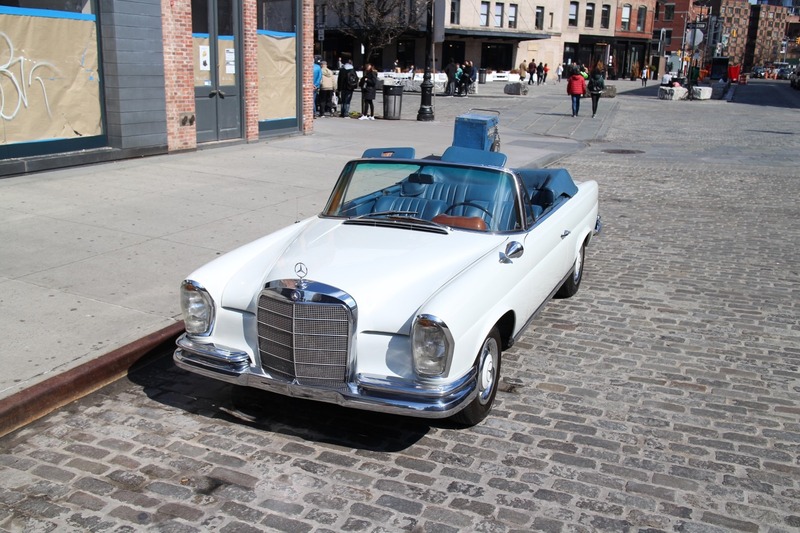 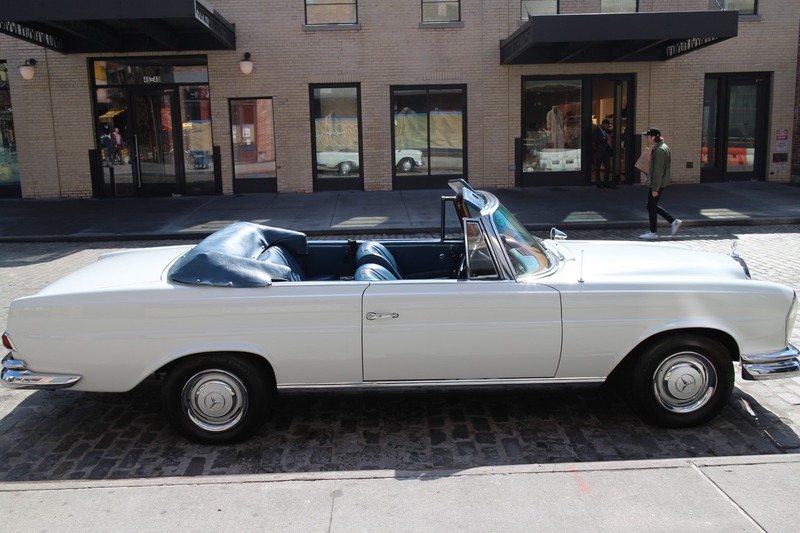 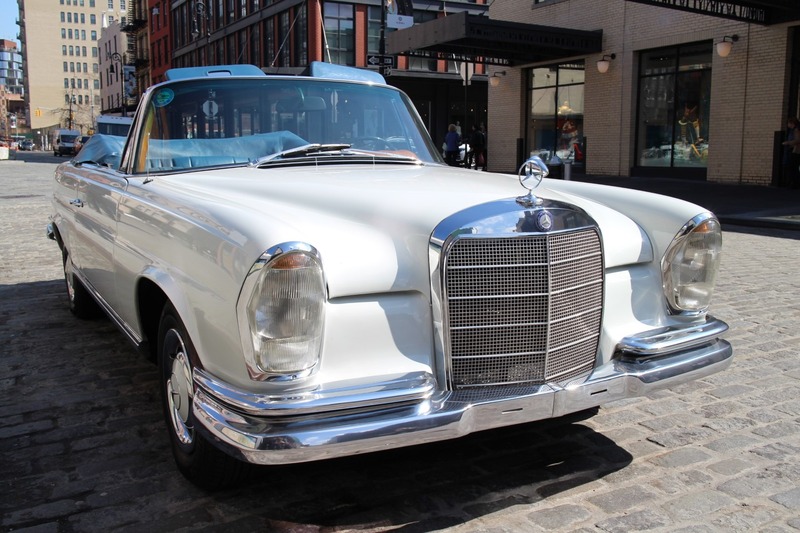 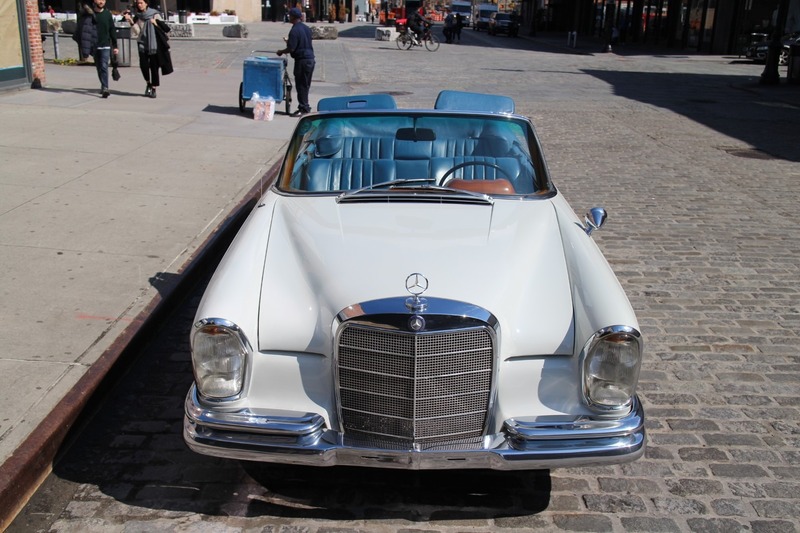 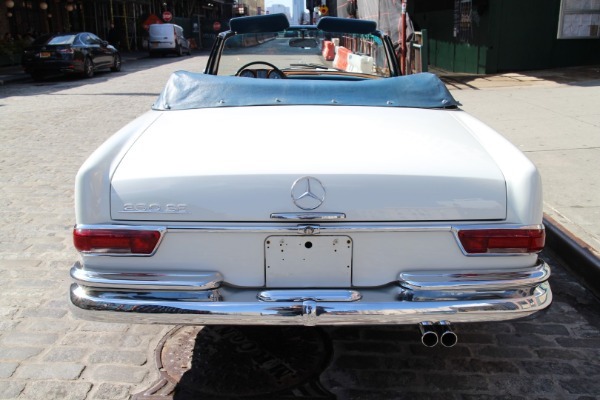 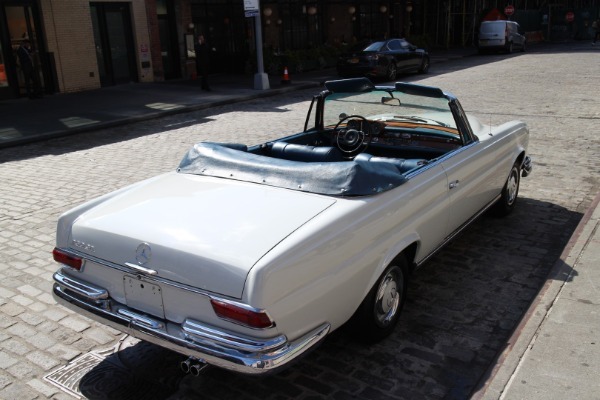 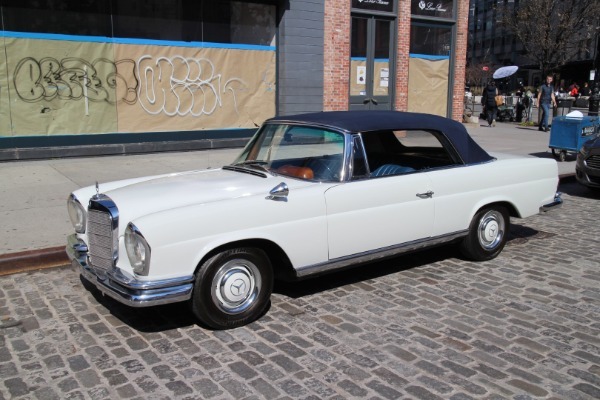 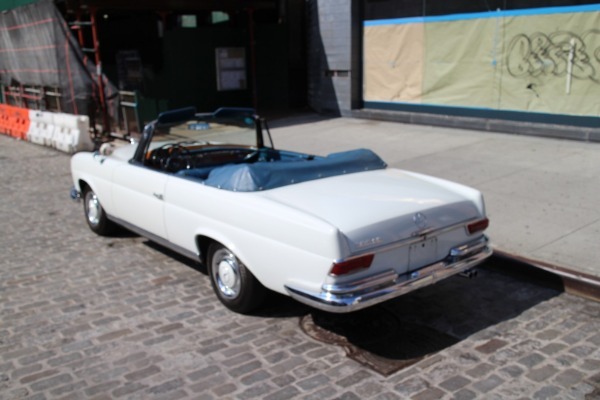 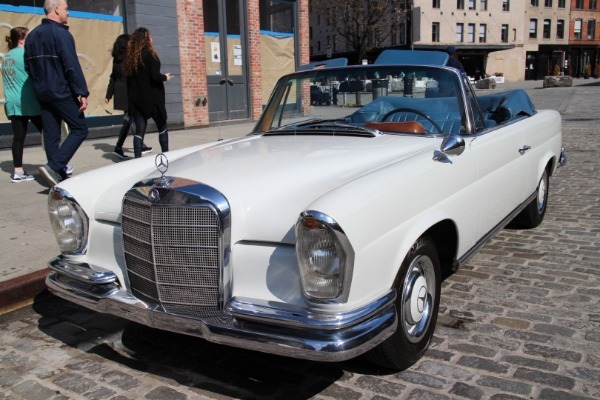 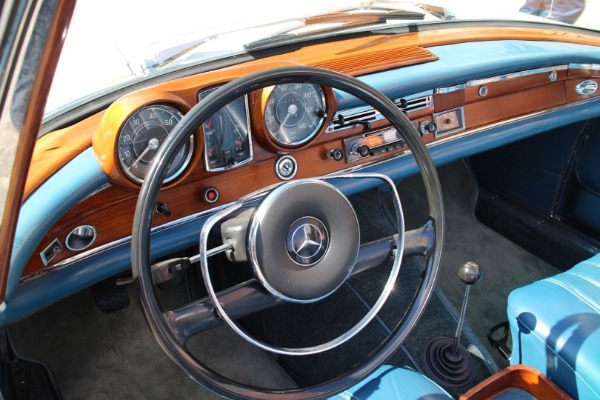 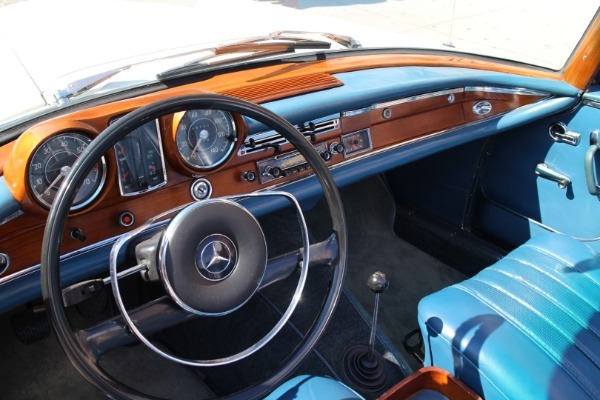 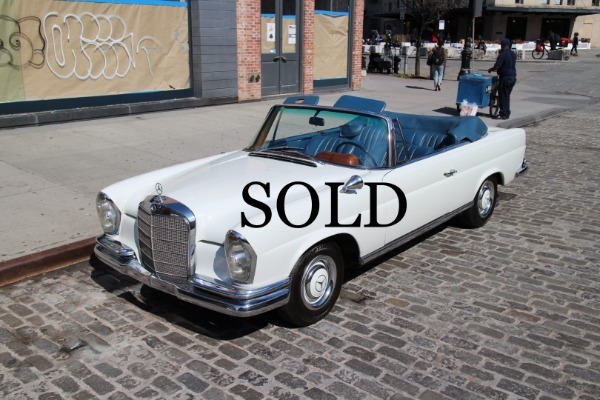 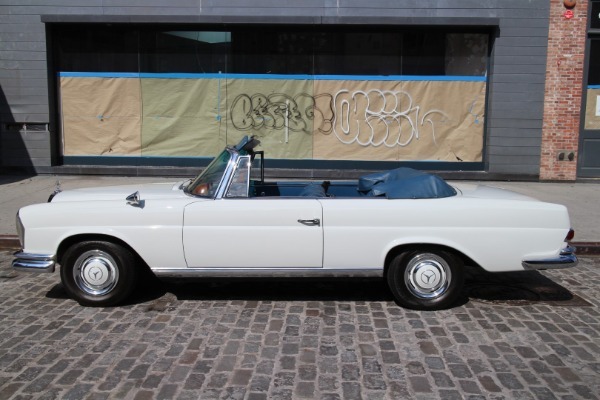 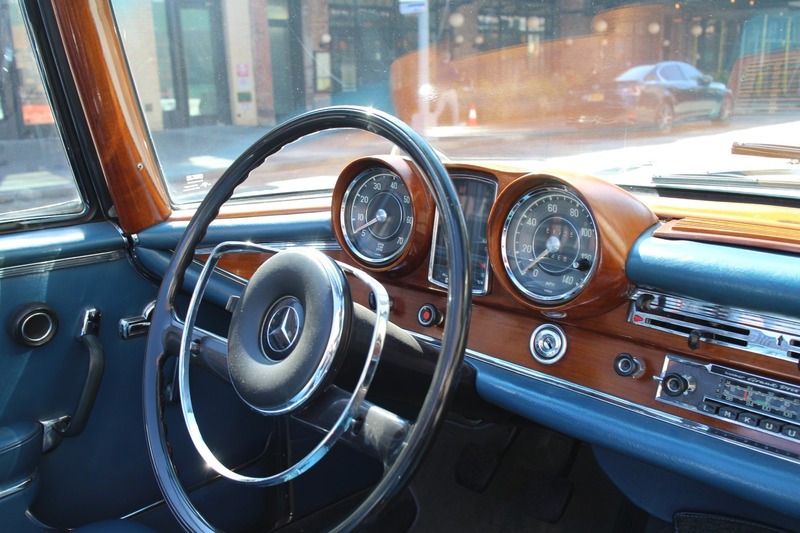 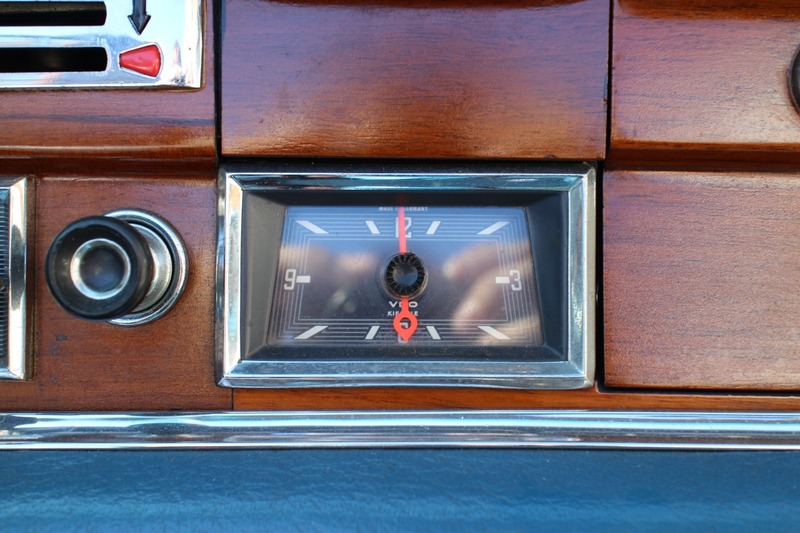 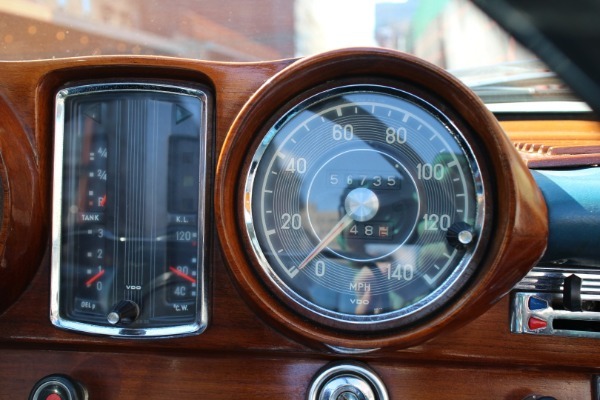 This 1967 Mercedes-Benz 250 SE convertible is a very original car in excellent condition. 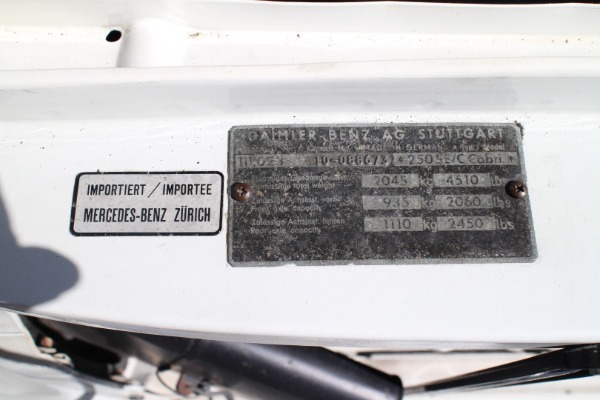 The car was a Swiss delivered car, but was imported to the United States by the owner in 1995. This example is fitted with the rare and desirable floor mounted 4-speed manual transmission. Being a European delivery to Switzerland, the car is fitted with European headlights, which give the already beautiful front end a more distinct look. 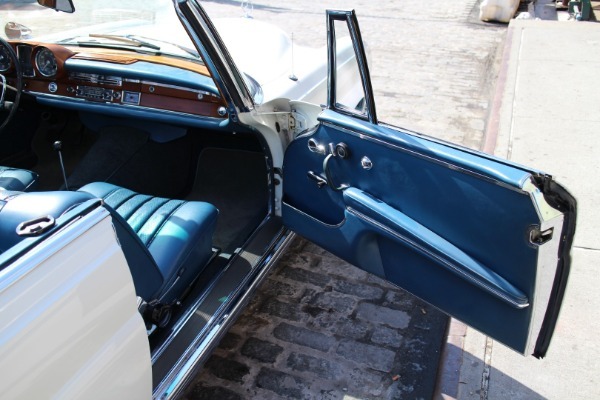 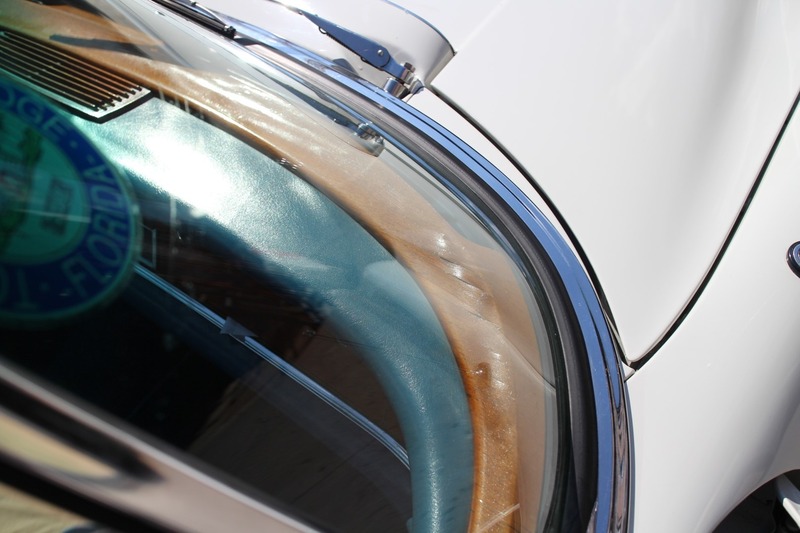 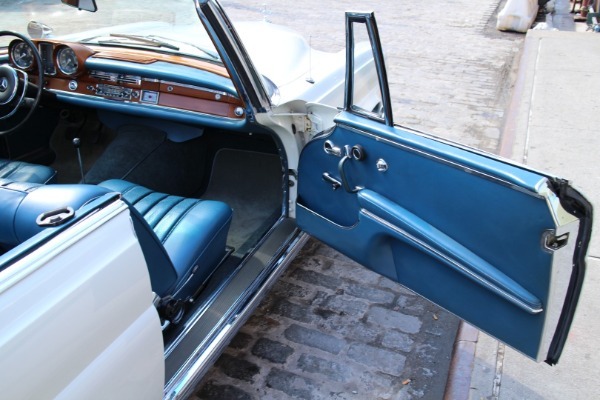 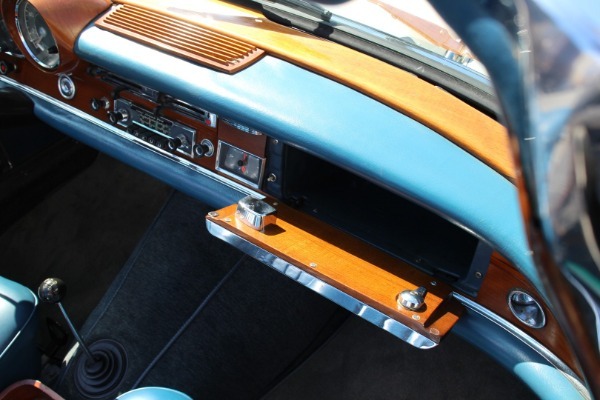 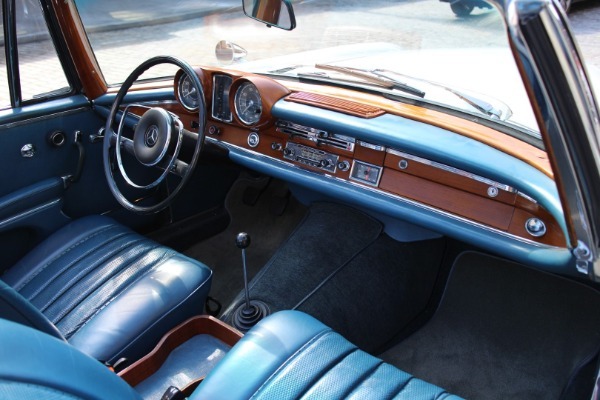 The car retains its original color scheme of Papyrus White and Medium blue leather interior. 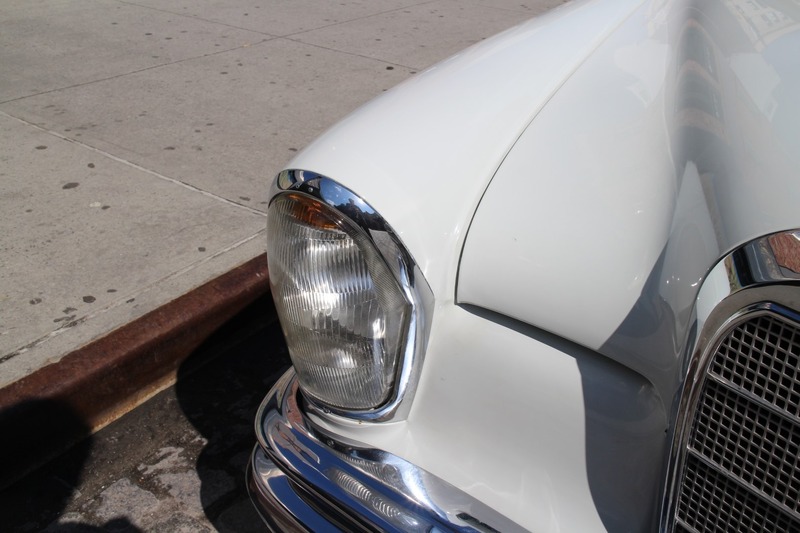 The condition of the paint is excellent as is the chrome trim. 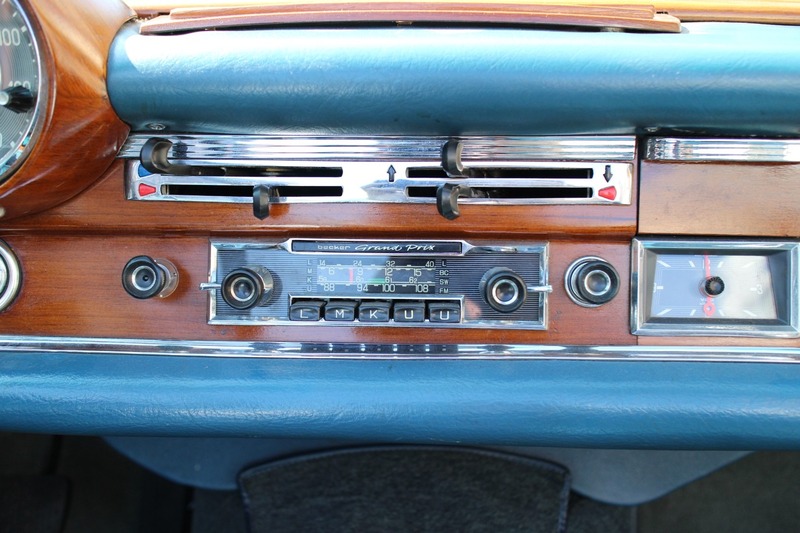 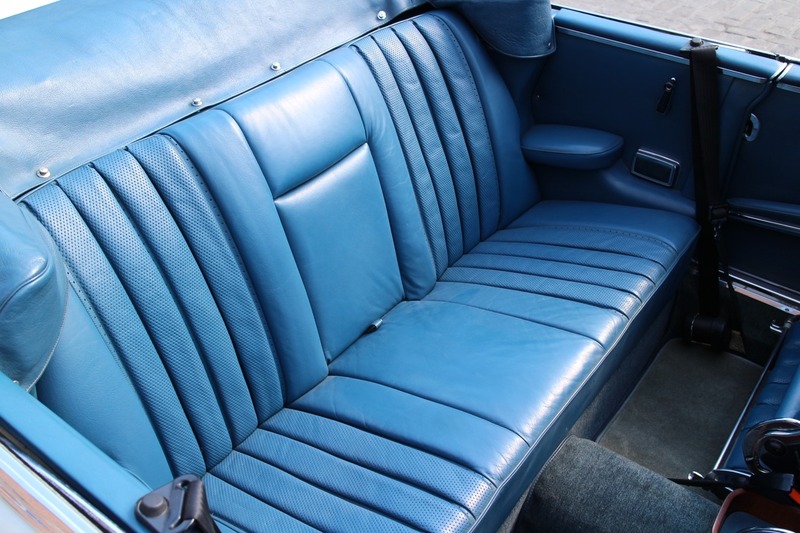 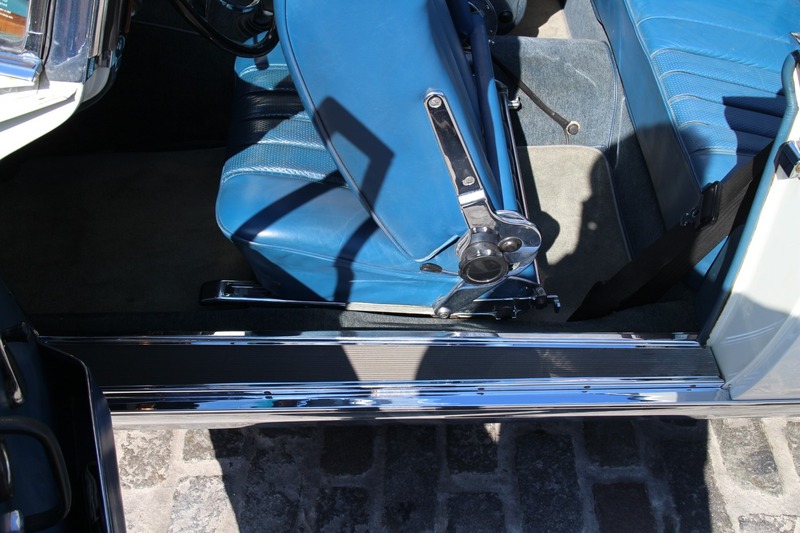 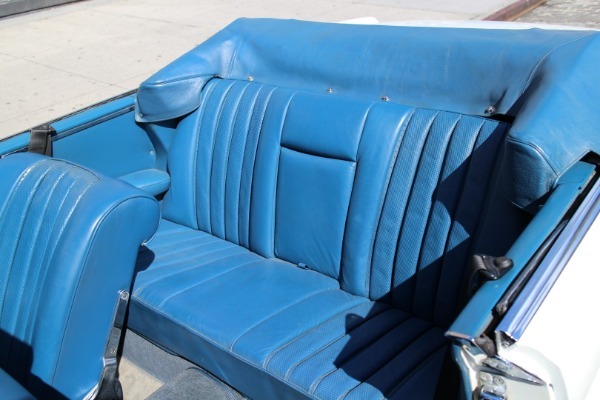 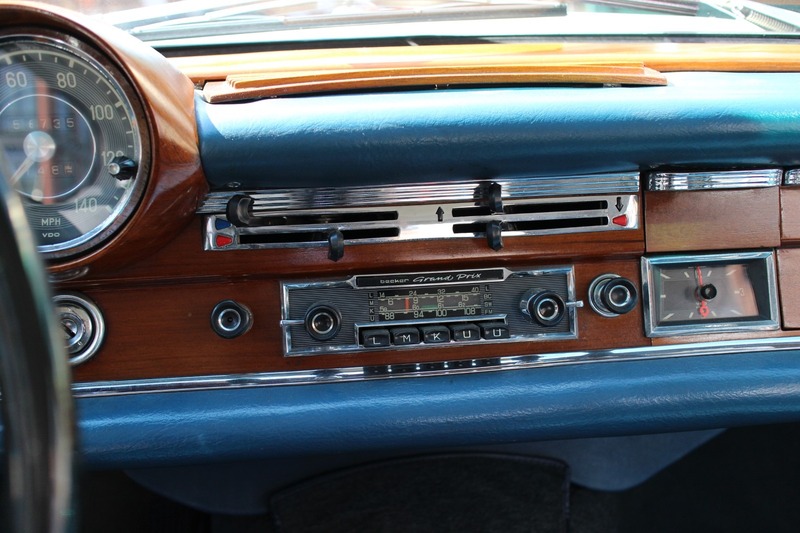 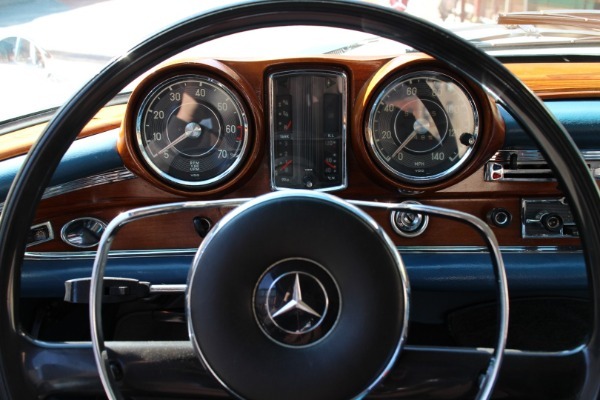 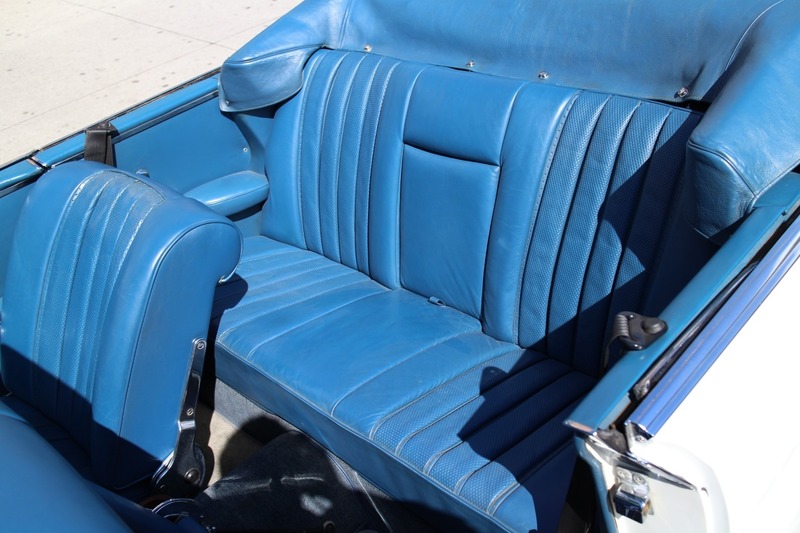 The original leather interior, including the wood, is in great shape, with only minor signs of wear. 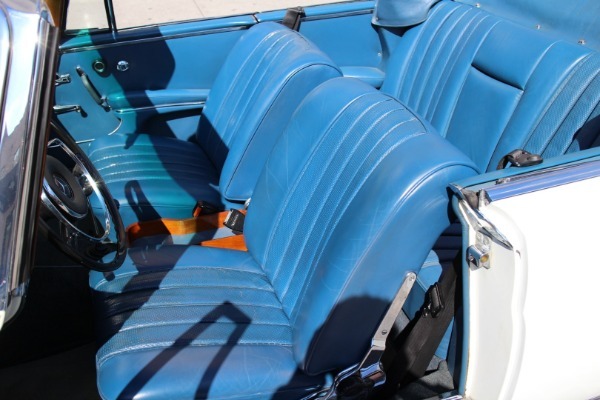 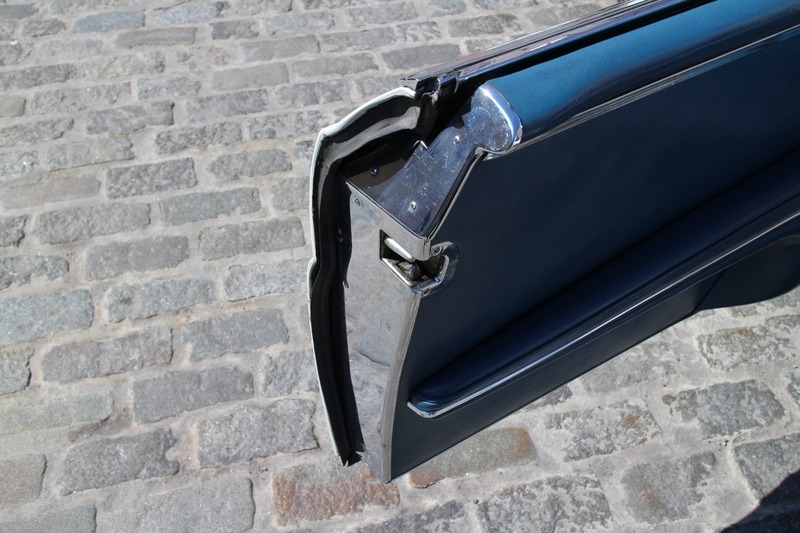 The blue convertible top is new and shows very little signs of wear and fits beautifully. 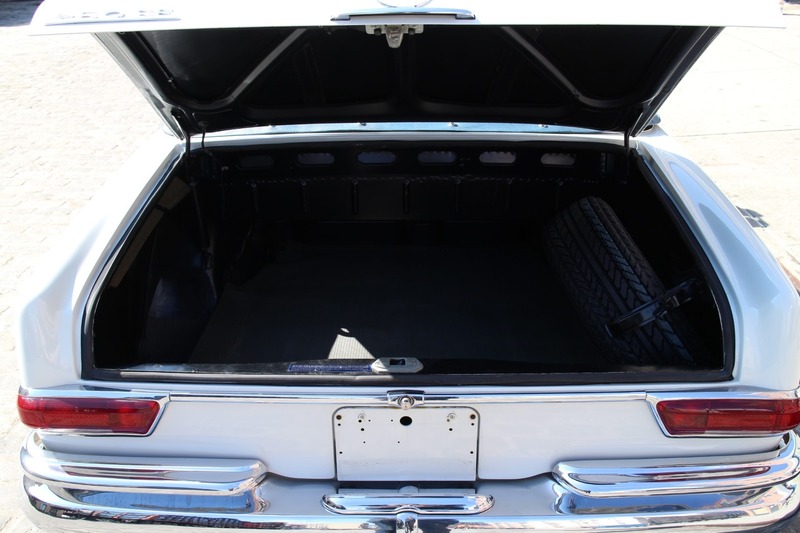 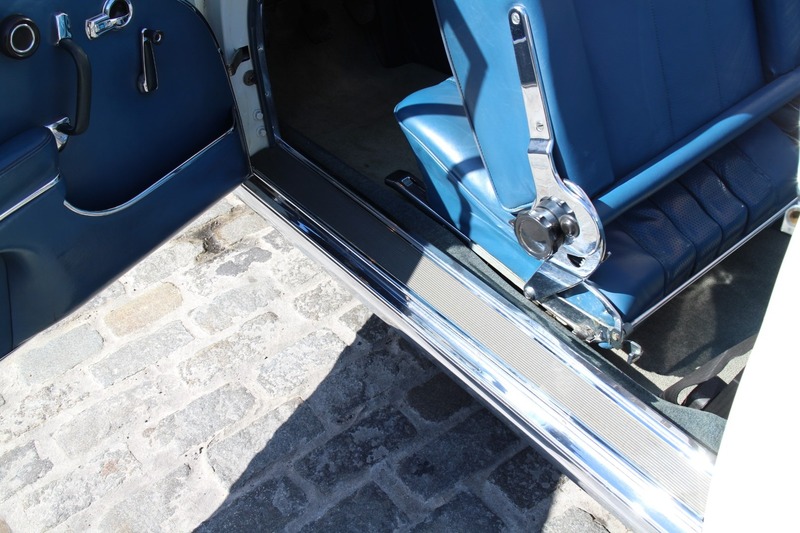 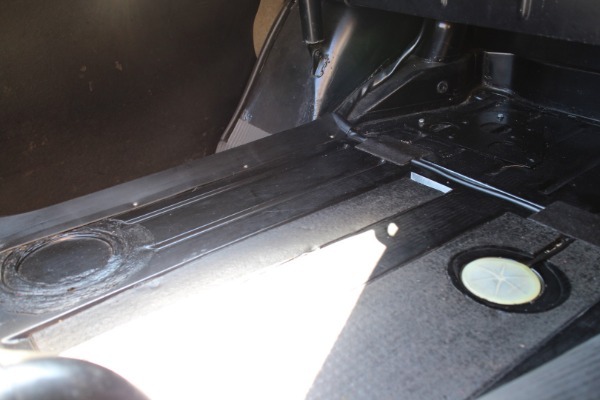 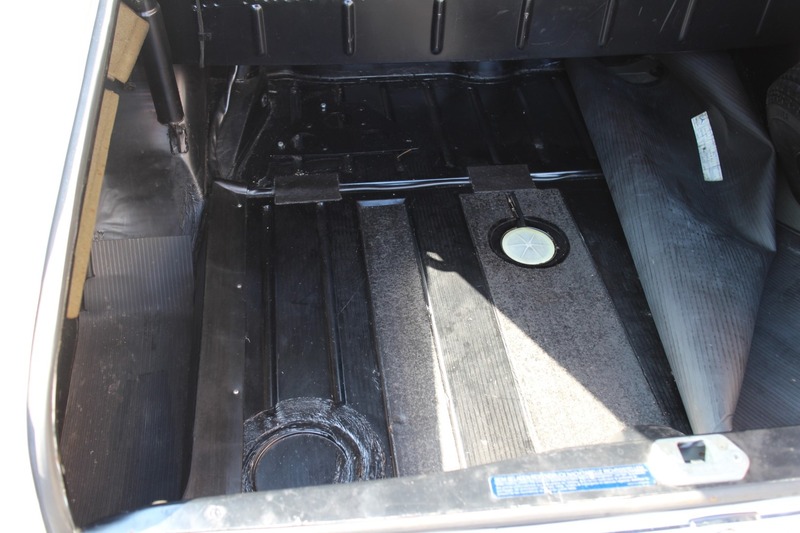 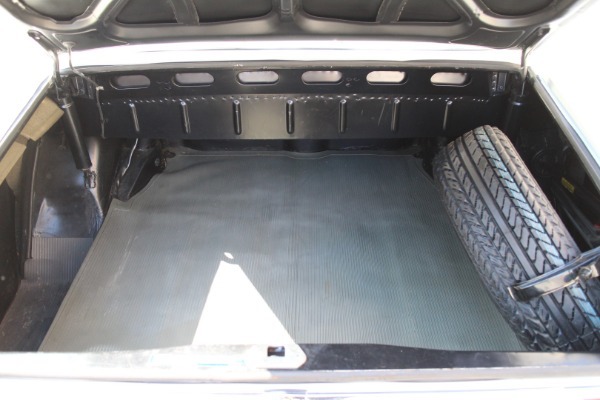 The floors and trunk are all original and in near perfect condition. 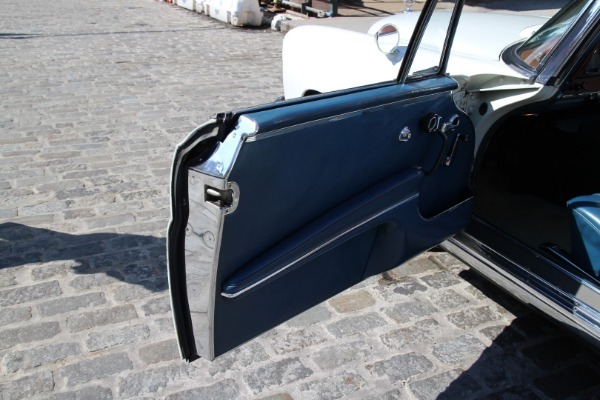 There are no signs of accidents or bodywork on the car and the panel gaps are excellent. 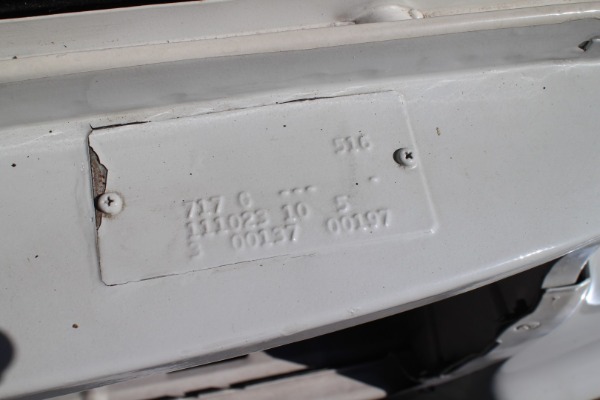 Most importantly, the car exhibits no signs of rust. 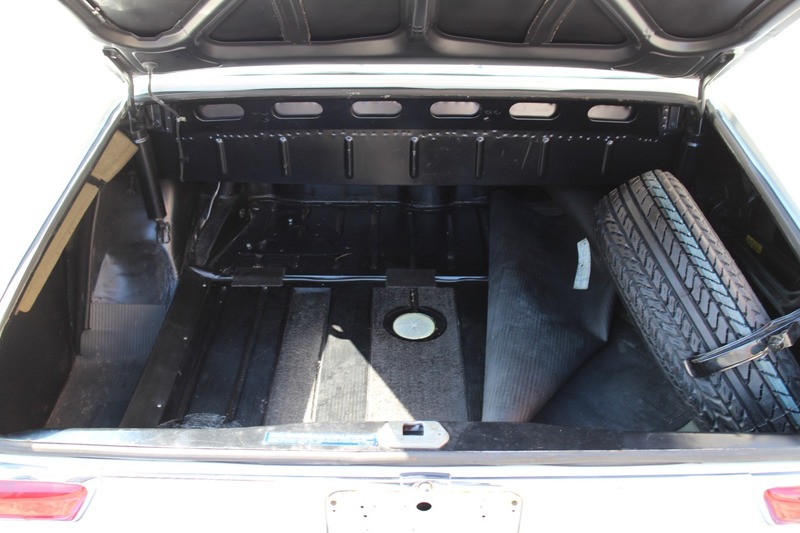 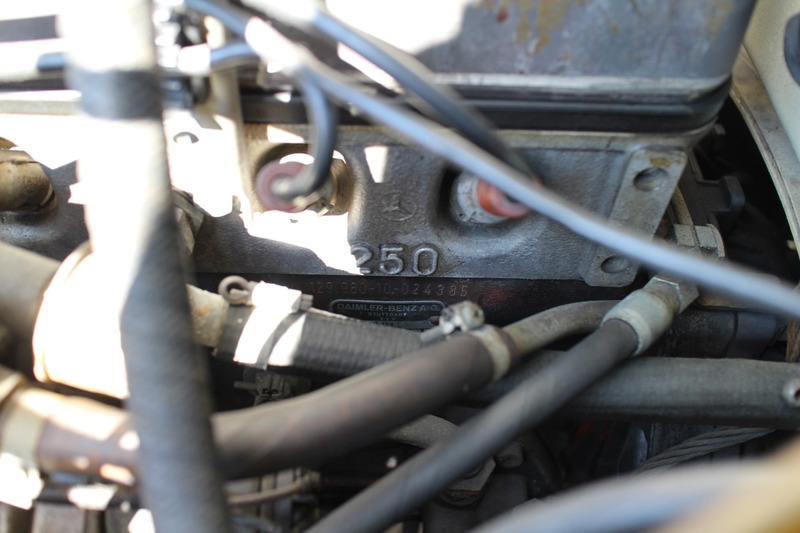 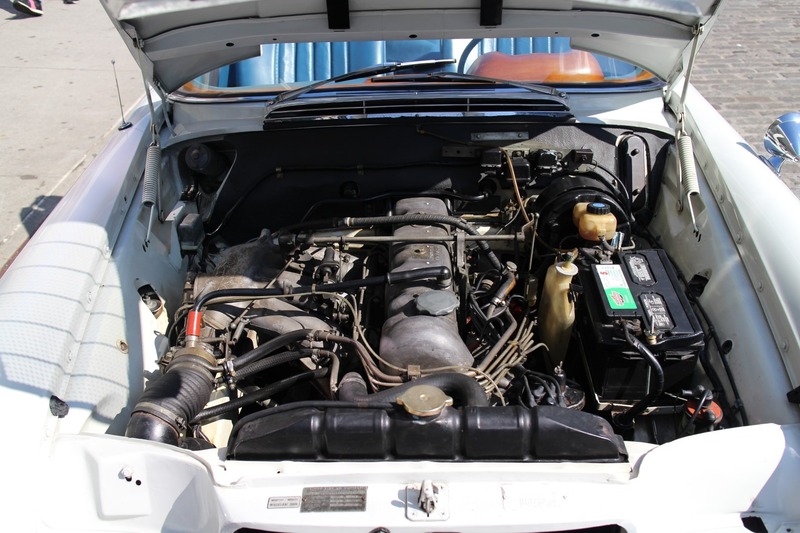 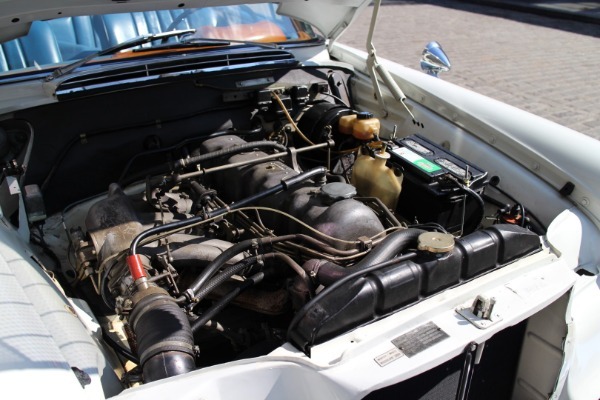 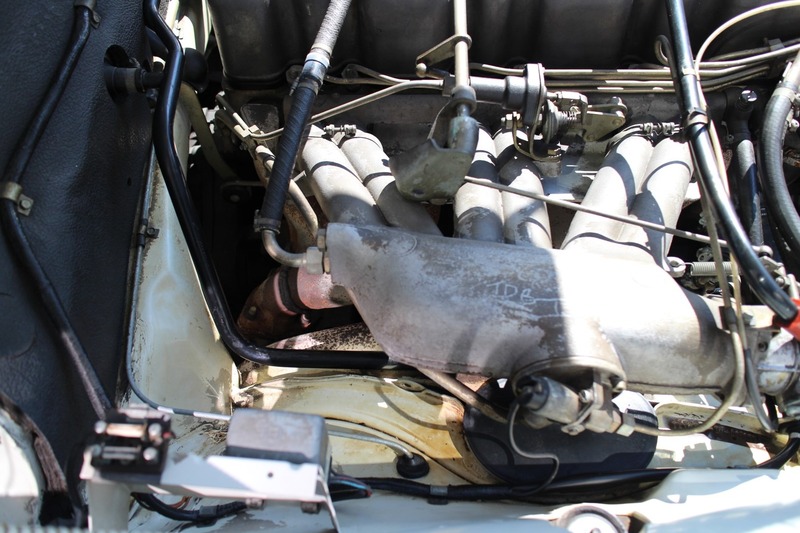 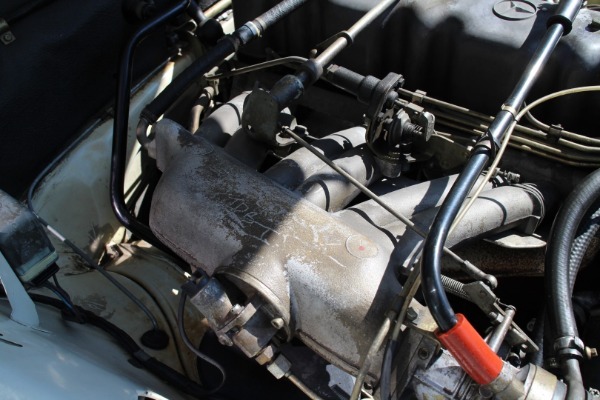 The engine compartment is clean and detailed and still retains the original factory applied cosmoline. 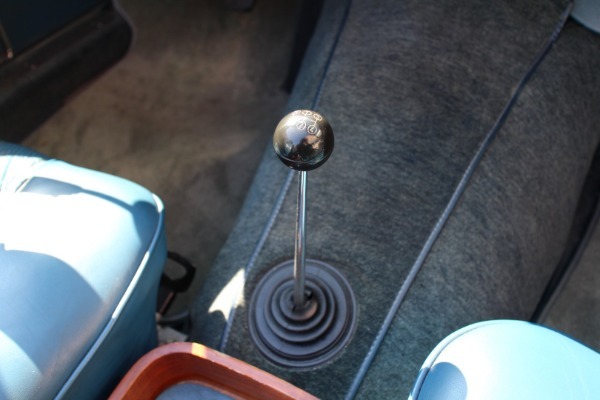 The car comes with the manual, service history and a set of tools.